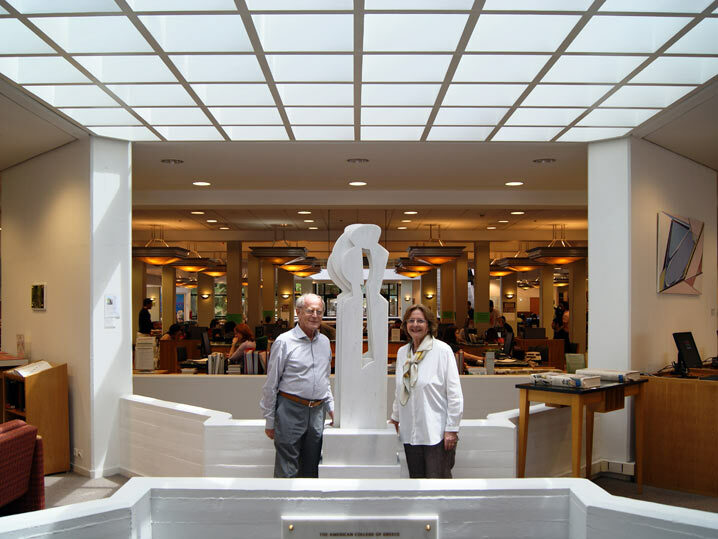 On 17 May 2012, before an audience of faculty, staff and friends, Pierce alumna Athena Politopoulou-Kargsten's Anatasis (Exaltation) marble sculpture [PoKa1987anat] was unveiled at Deree's John S. Bailey Library. 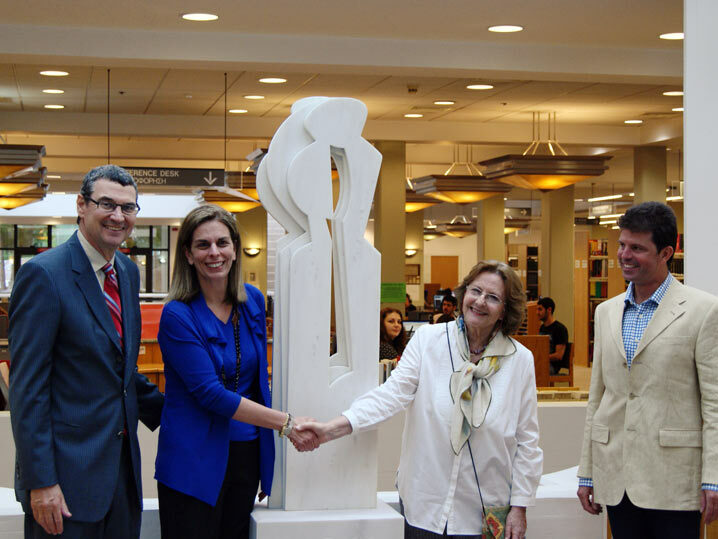 Anatasis was donated to the College by the artist and will permanently be exhibited in the JSB Library. Having gathered at the JSB Library's forecourt, Executive Director of Alumni Relations & College Events Claudia Carydis opened the event with welcoming remarks. 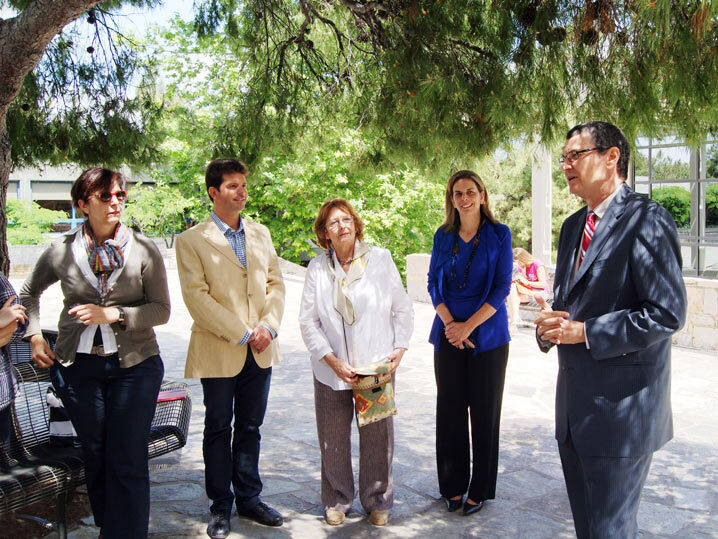 ACG President David G. Horner ackowledged the donation and spoke about the timeliness of Anatasis amidst Greece's current difficulties and the appropriateness of its central location in the College's main library. In her speech, Athena said her donation of Anatasis returns her alma matter's support. 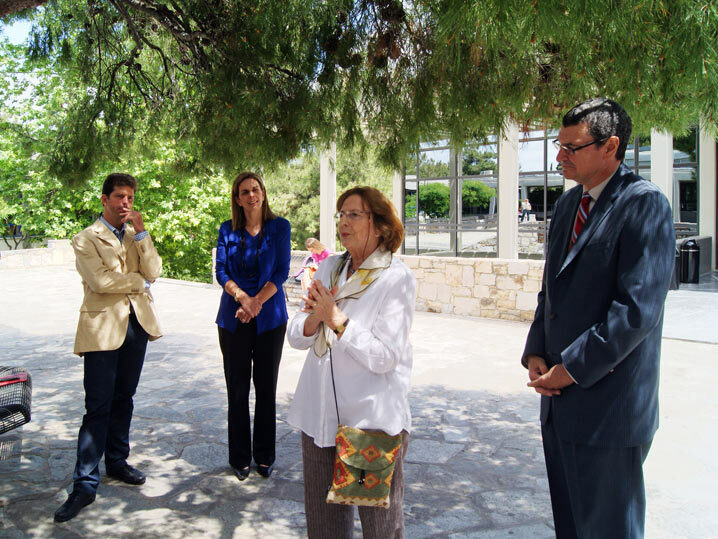 She also shared with the public her feelings of amazement that the position of her sculpture happens to be situated between Natalia Mela's Portrait of Kimon Friar (1911-1993) [MelN1964fria] and her own Portrait of Aristotelis Nikolaidis (1922-1996) [PoKa1980niko], two men of letters with whom she enjoyed close friendships and who had written about her art. In closing, I spoke about the aesthetic value of Anatasis, being a fine and original example of modernism at the verge between abstraction and figuration. I also said how the lightwell above Anatasis will allow us to appreciate different aspects of its sculptural qualities everytime we cast our eyes upon it. Right afterwards, the gathering was invited to enter the JSB Library before the veiled sculpture. 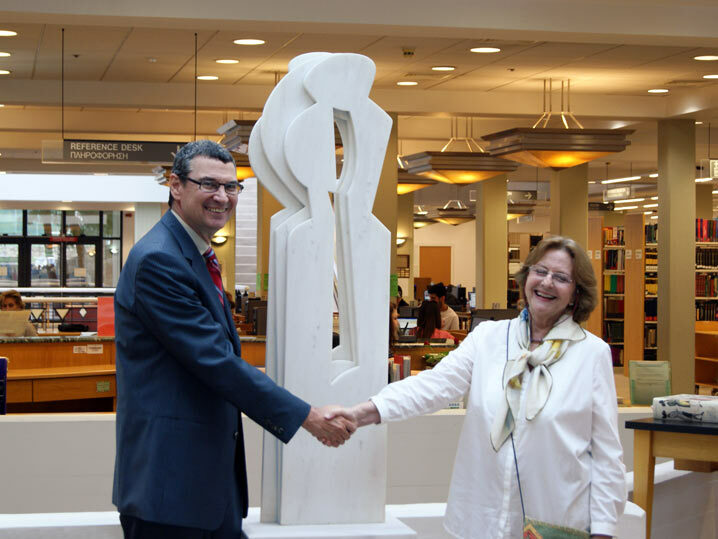 No sooner President Horner did the honors of the unveiling than the silence of the library, which was in operation, briefly and respectfully broke with a warm and heartfelt applause that Athena deserved. It is worth noting that in 2011 Athena designed the "ACG Alumni Awards" after Anatasis. Among these awards is one named after the pioneer founder of The American College of Greece, Maria West (1827-1894). She would have been proud of this day! 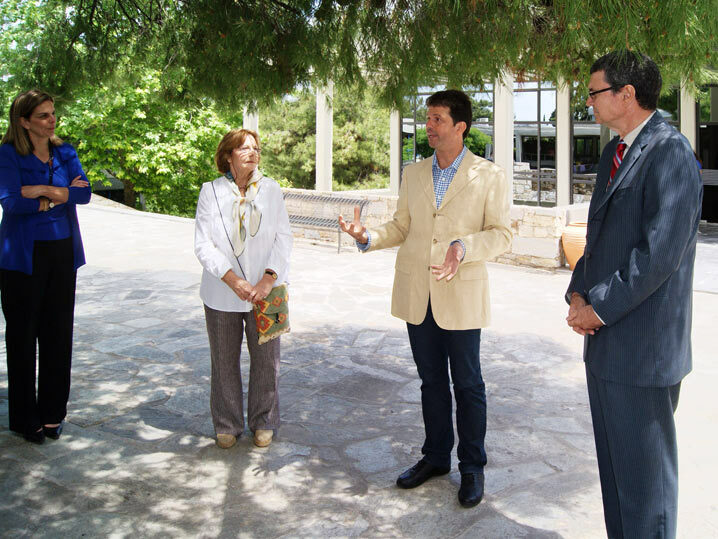 Step-by-step of the unveiling ceremony for "Anatasis"
1. Speech by ACG President David G. Horner. 2. Speech by artist Athena Politopoulou-Kargsten. 3. Speech by Megakles Rogakos. 4. Handshake between President Horner and Athena. 5. Handshake between Claudia and Athena amidst the President and Megakles. 6. Dr. Sven-Olof Kargsten and Athena on either side of Anatasis.